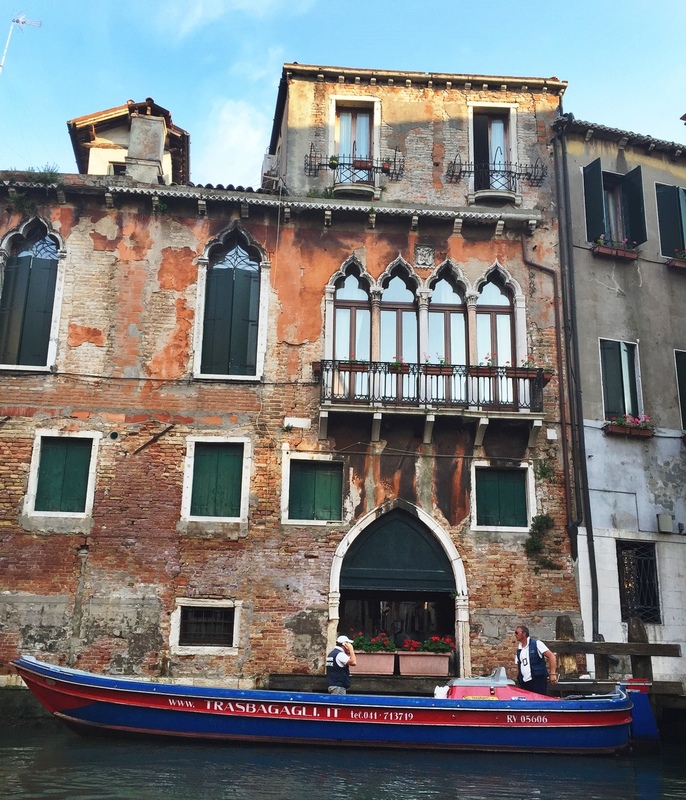 EARTHCANDY TRAVELS: MAMA MIA, VENEZIA! Not knowing we got off on the wrong stop, we exited the train station and hailed a cab. We asked our taxi driver (as best we could) to take us to our hotel. To our surprise, he drove us to a dock area where there were several shuttle boats called "vaparettos". The vaparettos work like a city bus. They have different routes which go to different points in Venice. We were totally confused because although we knew Venice has waterways for streets, we weren't aware of how to actually navigate the city. Nevertheless, we found the vaparetto that would take us closest to our hotel, purchased our tickets and climbed aboard. The ride was breathtaking! I could not believe the locals get to experience those views daily. Everything was like a a scene in a painting. I spotted Moorish architecture everywhere I looked, and the picturesque buildings and waterscapes were even more gorgeous in person! 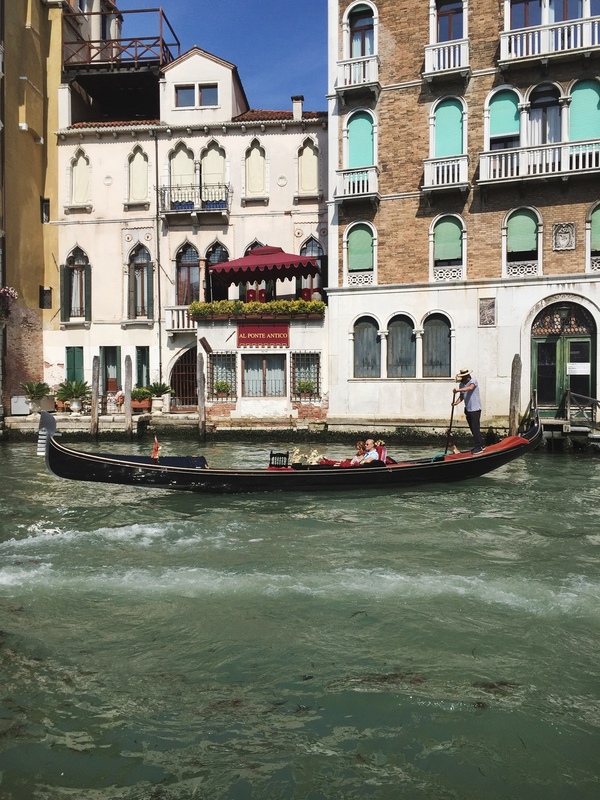 Boats in Venice are like cars in America. Moving along water 'highways', it was wild to see folks driving boats while chatting on cellphones. Taxis and limos, or even massive construction vehicles, dump trucks and more all converted into boats! The whole scene made me giggle. The city itself was a labyrinth of canals and little corridors, with bridges connecting the whole island. My photographs don't do justice to what we saw! Once we got off the boat, to say we got lost would be an understatement. Those little streets were a nightmare to navigate with all the luggage we had--to make it worse, the wheel broke on our largest rolling suitcase! Desperately lost with broken luggage-- IMAGINE THAT! We must have walked forever, occasionally stopping to ask for directions, while everyone else seemed to stroll about happily. Finally, after what felt like hours, we spotted our tiny Hotel Maurizio over the horizon and let out a HUGE sigh of relief. As we were settling in, my youngest daughter called me. (Sidenote: I had been nervous to speak to my children because I feared that hearing their voices would make my anxiety flare WAY up and I'd end up trying to catch the next thing smoking back home to them. We had been corresponding via text, but this was the first time TALKING to my daughter.) I answered nervously. She was ecstatic! Joyfully telling me about her day at a dance workshop she was attending for the week, and how her dance instructor wanted to mentor her. Then I heard my mother's voice in the background telling me everything is fine, the girls are having a great time and she hoped I was as well! And just like that--I wasn't anxious anymore. It was like a MAJOR weight had been lifted off of me and I felt I could take take on the world... like I had always dreamed! With a newfound courage and immediate burst of energy, I was ready to hit the Venezian streets and get lost--in a good way this time! 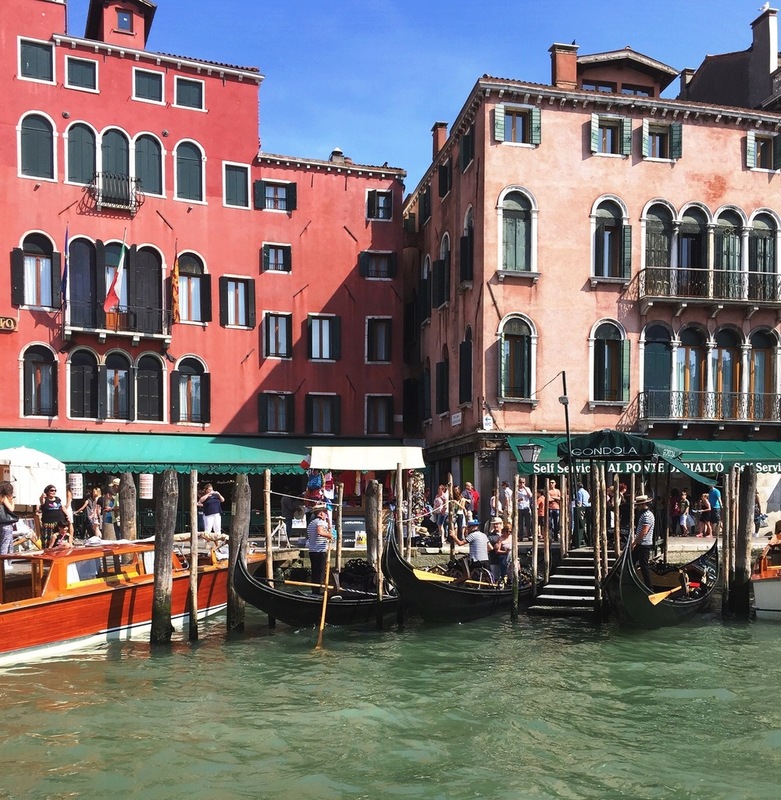 Venice was a wanderlust heaven, with twist and turns everywhere. Dozens of West African street vendors lined the sidewalks with knockoff purses, asking "How much, how much?" LOL! We did witness lots of beggars (called 'gypsies', interestingly) on the streets, who would keep their heads down with hands stuck out for money. The food was delicious, and it just so happened that Venice was the place I had my 1st glass of wine--EVER! Nevertheless we had a great time. Whether it was exploring the historic buildings and public art, getting lost in the narrow streets, people-watching while dining along the canals, enjoying the melodic singing of the gondoleros, or hanging with our friends we met up with in Florence, visiting all the high-end couture boutiques, cooing over Italian made leather goods and hanging in after-hours bars. Venice was a gorgeous place... and quite romantic (wink)!